What makes this place exceptional is its history, relevant to Gdańsk so much that to this day the routes of the tours for foreigners include a stop on Szeroka Street and a story of Goldwasser—golden vodka of Gdańsk. “Pod Łososiem” Restaurant is a guarantee of an excellent flavour, an unprecedented atmosphere and elegance. It is the perfect place for any occasion—a romantic dinner, a family lunch or a business meeting. The restaurant has a centuries-old tradition— its history dates back to 1598, when Ambroży Vermollen founded the inn and the liqueur distillery there. The most famous beverage was the Goldwasser which is still served today, according to an unaltered recipe. 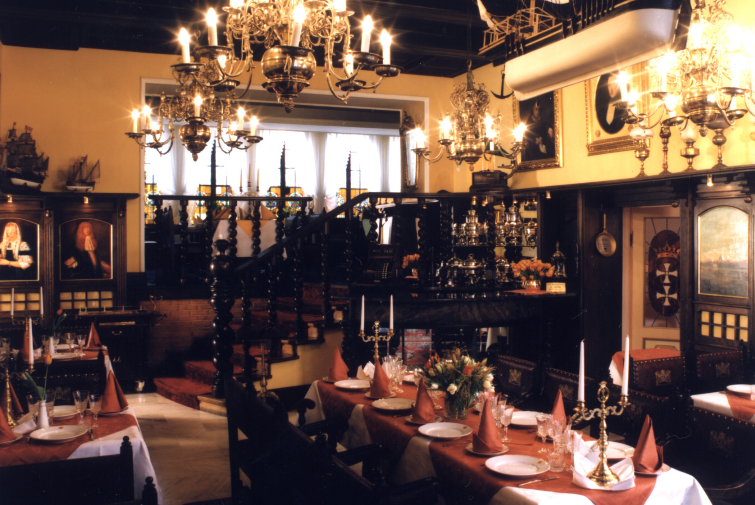 “Pod Łososiem” Restaurant is the place for connoisseurs and lovers of exquisite dishes.